New York University dental student Farzan Mojgani works on a patient Tuesday during the weeklong dental clinic in Machias. 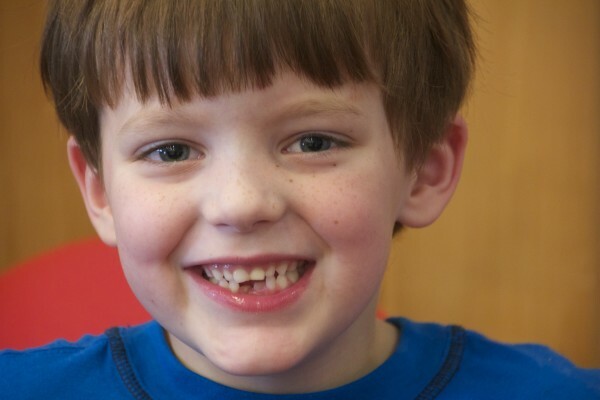 Darion Wescott, 5, of Machias flashes a smile after having his teeth examined. He was very proud of the fact that he was missing two bottom teeth. "I wiggled them out," he said. Darion Wescott, 5, of Machias has his teeth examined by New York University dental stunt Jared Curtin. Dr. Laila Hubbi, a pediatric dental resident with New York University, checks the teeth of a young patient during the dental clinic. New York University student Jared Curtin brushes the teeth of patient Darion Wescott, 5, of Machias at the dental clinic Tuesday. MACHIAS, Maine — Robin Marble of Columbia Falls has been without dental insurance for several years. When she broke one tooth and knocked out a filling in another, she didn’t know what she was going to do. Then she heard about the dental clinic offered by New York University College of Dentistry from April 13 to 18 in Machias. “I saw a notice about this, and I’m saved. My teeth are saved, anyway,” she said Tuesday. Many other local folks also heard about the clinic. In fact, volunteer Susan Farley said, about 60 people were waiting when the doors opened Monday morning. “It speaks to the need in the area when we’ve got that many people waiting,” Farley said. Tuesday morning, about two dozen people waited their turns while four or five dental students worked on adult patients. But the clinic, held in partnership with the Washington County Children’s Program, is really about children. Another three stations of dentists and dental students examined and brushed the teeth of children who had come from Washington County elementary schools and Head Start programs. The Machias clinic saw about 75 children Monday with another 45 seen at a clinic in Perry, according to Teresa Alley, oral health coordinator for Washington County Children’s Program. Children receive checkups and preventive care as well as treatments for any problems. Farley said the children’s program has a van called the “tooth fairy” that visits schools and Head Start programs. The idea was that the tooth fairy van primarily would handle checkups and preventive care. “They were seeing lots of decay … that was beyond the scope of what they could do,” Farley said. 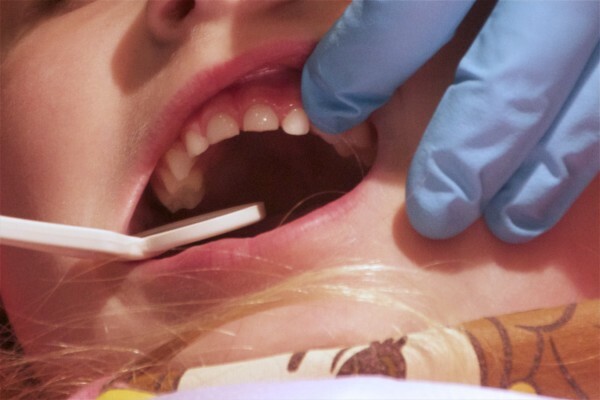 Tooth decay has declined in the five years the clinic has operated in the county, Farley said. In fact, the children’s program outreach was one of the reasons the university selected Washington County for the clinic location, according to Rachel Hill, director of global outreach and international initiative at New York University College of Dentistry. The program is funded by Delta Dental, the Northeast Delta Dental Foundation and the Henry Schein Cares Foundation, she said. Hill’s program at NYU answered a request for proposal from these three entities and convinced them Washington County was the right location because of need and strong local partners, such as the children’s program, Hill said. Alley said the difference the program has made is visible. “I’m seeing less decay,” she said. “With this [clinic] program, we’ve eliminated some of the barriers to care, such as the transportation issue in our vast, rural area,” Alley said. Financial barriers also are removed because the care is free. Farley estimates the clinic will see 500 people before it closes Saturday. 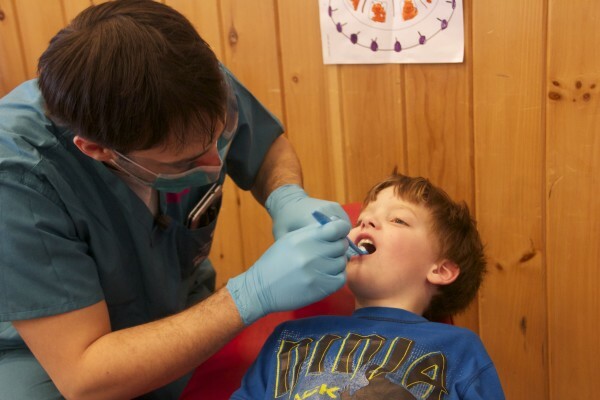 The clinic was closed Thursday in part so the children’s program staff could treat the visiting dentists and dental students to a trip to Acadia National Park and Bar Harbor. 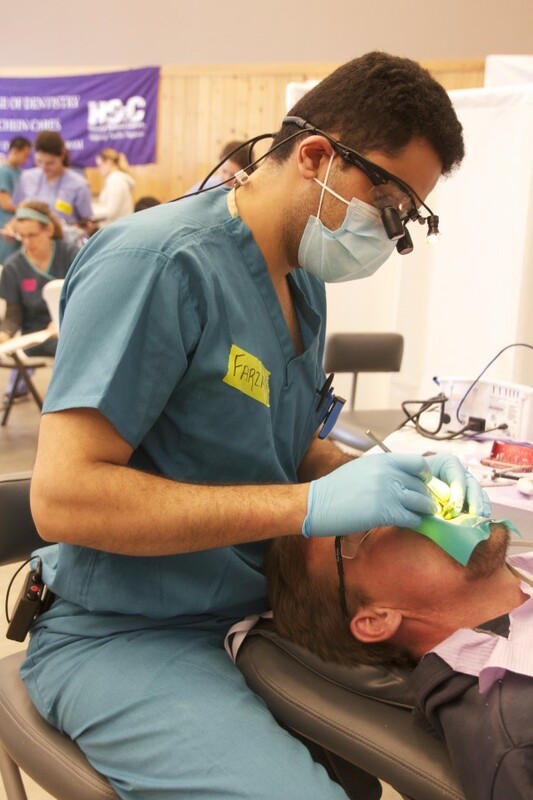 The NYU dentists and students don’t receive any academic credit for their time at the clinic. They miss their regular classes and activities to come here, Hill said. Since it began in 2010, the clinic has seen and treated about 5,000 people. The clinic is intended for those who don’t have dental insurance or who can’t afford dental care, Farley said. It’s not meant to take the place of an individual’s regular dentist. “Some of the [adults] have had no dental care for 20 years or 40 years,” Farley said. “I think there’s a huge need up here, and I think this [clinic] is really excellent,” Marble said while she waited to have her broken tooth fixed. She had her filling repaired the day before. “[It] looks better than it did before,” Marble said. Machias resident Ed Gray, who also has no dental insurance, said he had a tooth pulled Monday and came back Tuesday to have another one pulled. He also sees a need for more accessible dental care in Washington County. “I’m disabled, but there’s few jobs that have benefits around here,” Gray said. Alley said there are no dental specialists in Washington County. “We have only general dentistry,” she said. The hope is that one of the New York University students will decide to relocate to Washington County after graduation, she said. The clinic is set up at the Lee Pellon Center at 90 Main St. in Machias. For more information, call 255-3426 or 271-8884.